I'm taking a module in photojournalism this semester. 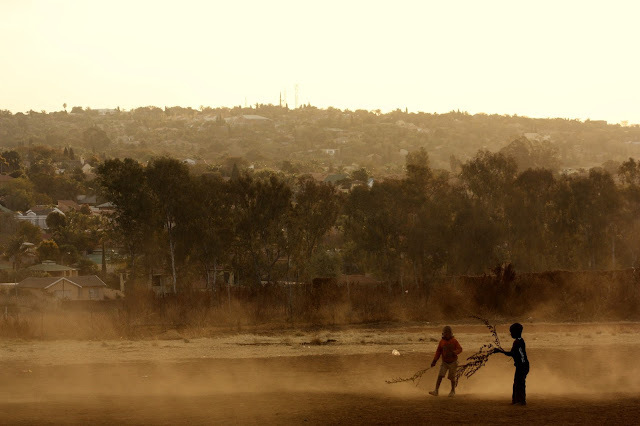 This is one of my assignments, a 5-image photo story about Woodlane Village, an informal settlement in Pretoria East. Woodlane Village is an informal settlement nestled between the afluent homes of Mooikloof and Woodlands in Pretoria East. Nicknamed "Plastic View", it is home to about 3000 residents from Zimbabwe, Lesotho, Mozambique and neighbouring provinces in South Africa. 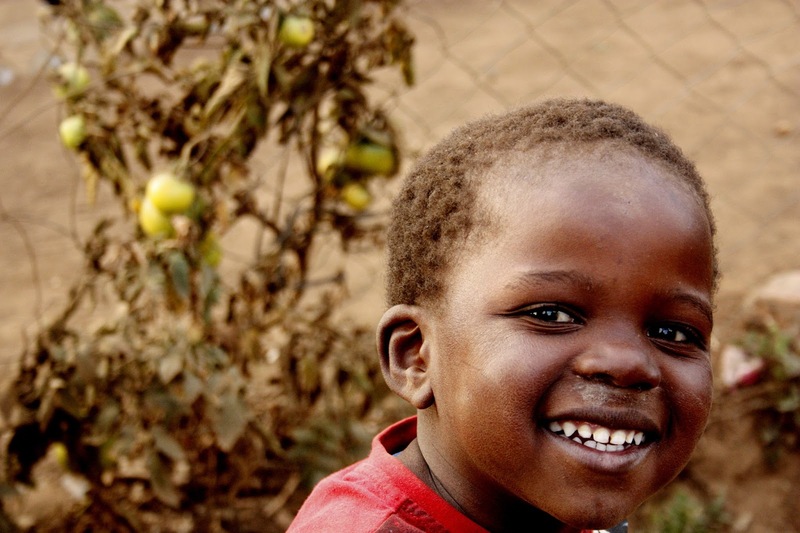 It was initially started when 500 homeless people staying in a nearby field came together to form the village, which is adjacent to the Moreleta Park NG Church and close to the Pretoria East Hospital and shopping centre, Woodlands Boulevard. The community has been embroiled in several court cases since its inception six years ago, the latest in which sees homeowners in the surrounding suburbs taking the Tshwane Metro Council to court for not controlling access to the village. A 2009 court ruling ordered the council to maintain the fence surrounding the village and to ensure that security guards are placed at both entrances. Homeowners are claiming that the council is not doing this properly. 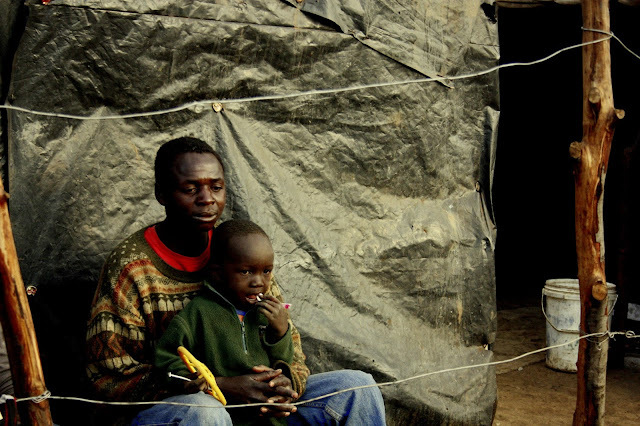 While the court battle questioning these residents' right to live in the settlement continues, the people of Woodlane Village go on with their daily lives, trying to find employment by selling fresh fruit and vegetables, running colour spaza shops, barbers and other small makeshift businesses. A young boy who resides in Woodlane Village. A father and his son sitting outside their home in the Zimbabwean section of Woodlane Village. 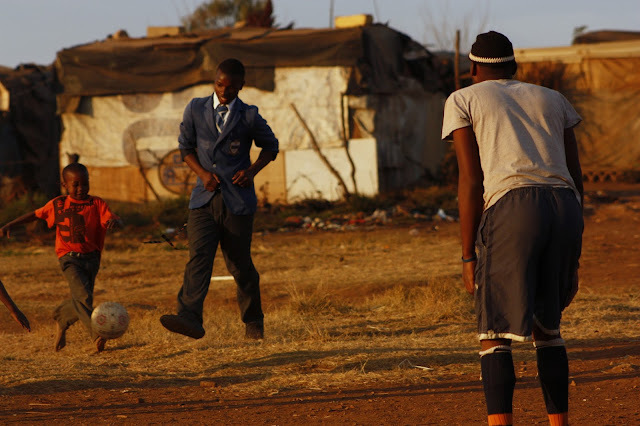 A student from Lyttleton Manor, a high school in Centurion, plays soccer with residents of Woodlane Village. 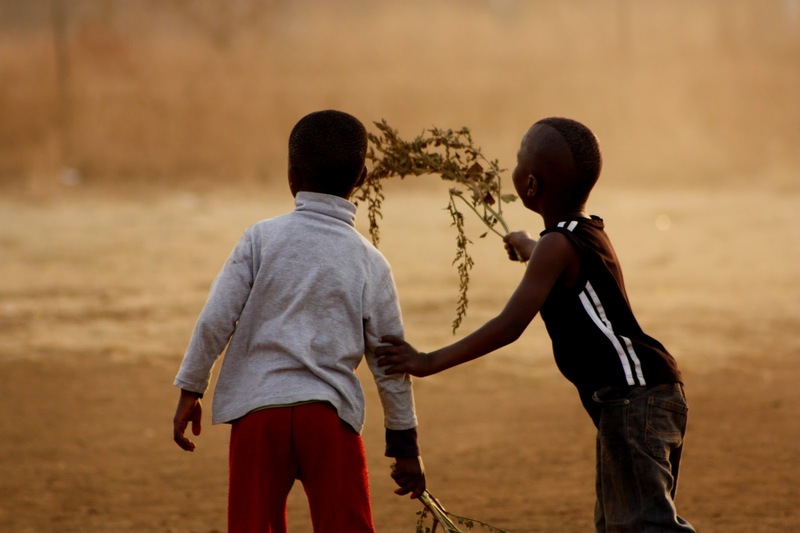 Two young boys drag branches through the sand as the sun goes down. Two young boys observing something in the distance while playing. Argh. I just lost my mini-essay which I wrote complimenting your photos. Bottom line: the first, second and fourth pictures are brilliant. I particularly the fourth -- the up-market real estate climbing up the hill, the wall of trees veiling it from the sorry dust field, at the bottom right corner of which we find the two boys, playing, obvious to their own state.